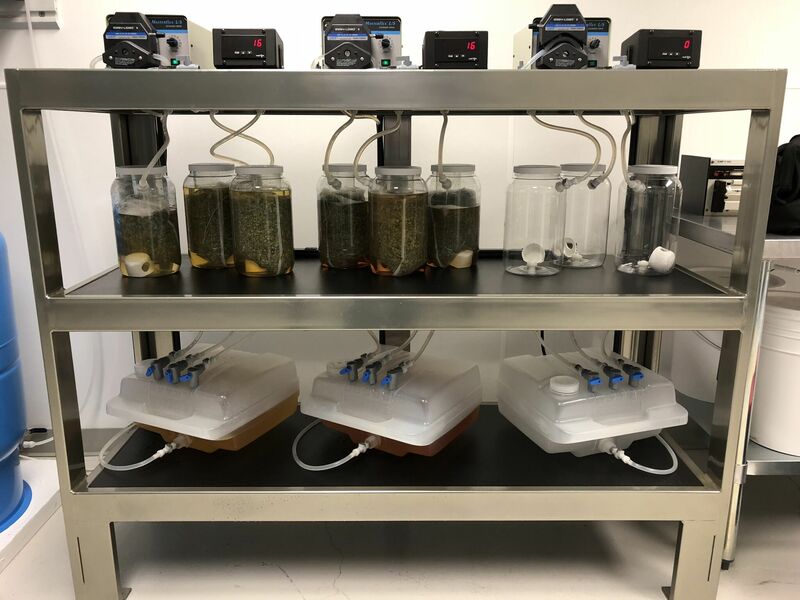 Infusion Biosciences has developed a patent pending technology that we refer to as our Aqueous Phytorecovery Process that uses custom reagents formulated for different plant materials. All of our reagents are not only classified GRAS but also are common ingredients in our diet. Further, we do not use any artificial chemicals or harsh physical treatments during our process. 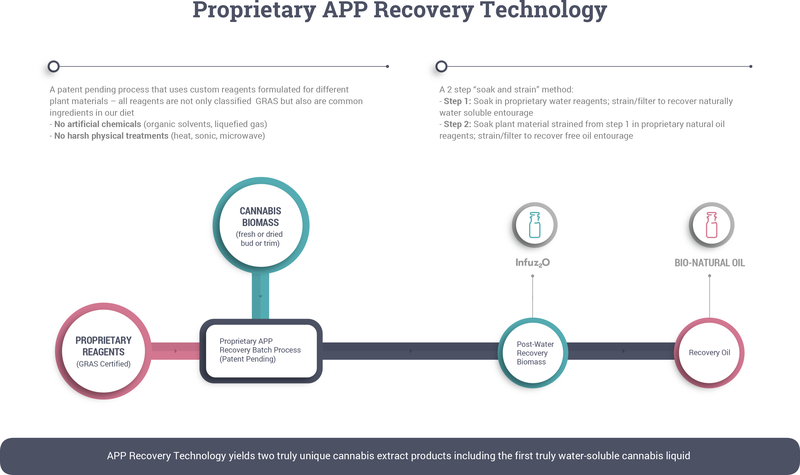 Infuz2O is IB’s natural water soluble cannabis solution that can be stably formulated into traditional beverages without the use of artificial chemical and/or physical means to keep the cannabinoids blended in the water base. 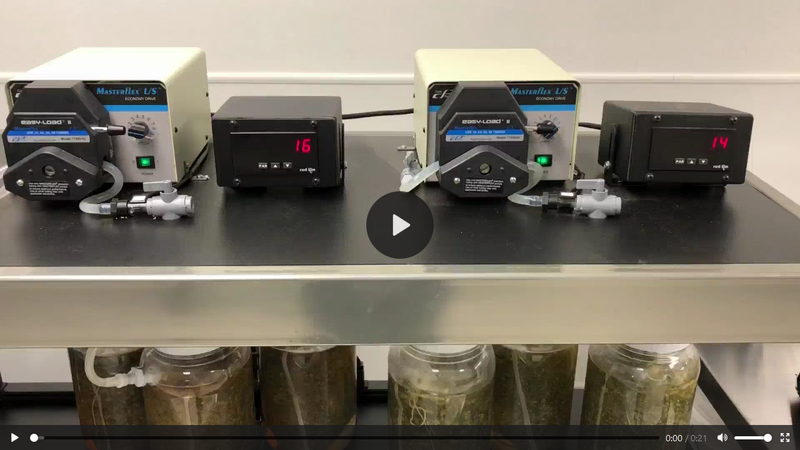 The true water soluble form of cannabinoids in Infuz2O results in a fast onset time of less than 5 minutes, clearing (offset) within 90 minutes. 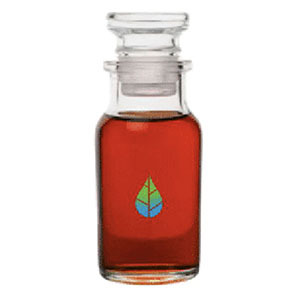 This is substantially different from traditional cannabinoid oils which take 30-60 minutes to feel the effect (onset) and 3-6 hours to wear off (offset). 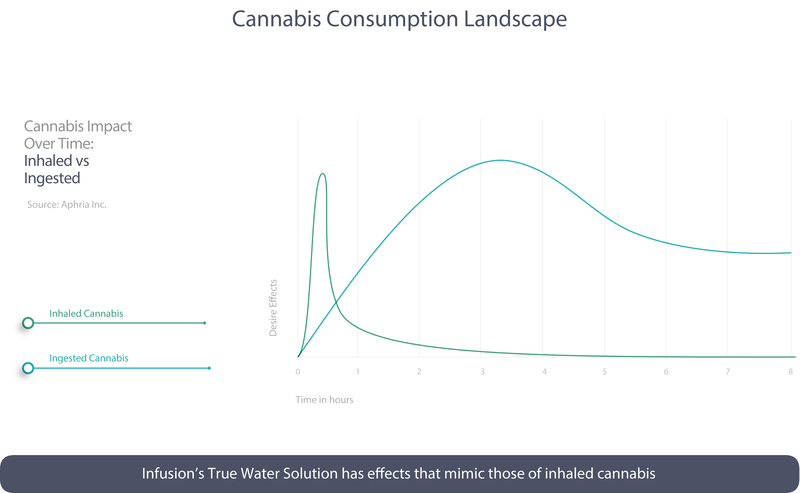 The gentle water-based recovery process also makes sure that Infuz2O delivers the “whole plant experience” without the need to smoke. 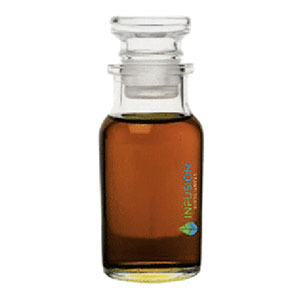 BNO is cannabinoid oil molecules directly infused into one of many natural oils that are used in edible products or for skin application. Unlike cannabinoid oils that are used in the industry, BNO is produced by a natural and gentle recovery process. Thus BNO retains and delivers the full entourage experience and benefits of the plant variety from which the oil is made.